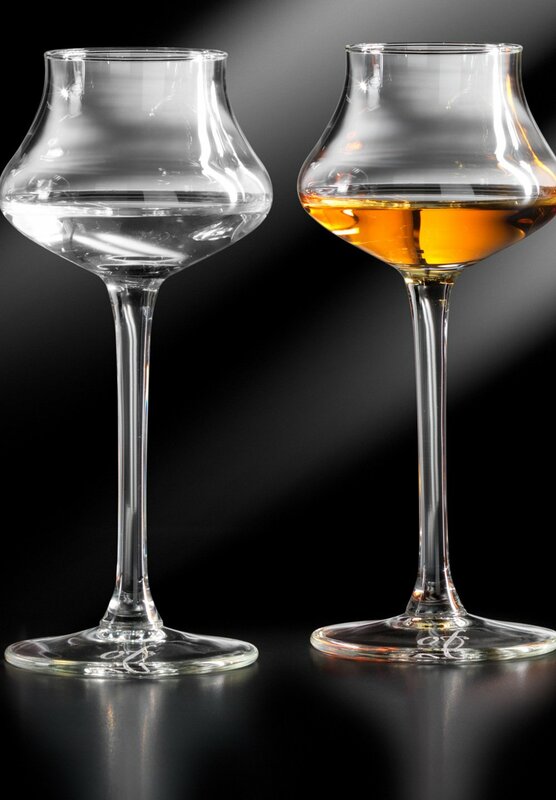 While up until just a few decades ago people spoke singularly of “grappa,” with the introduction in recent years of the monovarietals market, people now discuss at length the different types of “grappas.”. Young grappas are characterized solely by the aromas derived from the vine variety during distillation and from fermentation. They are kept in non-wooden containers. Aged grappas are distinguished by their straw color and spicy tones acquired after a period of at least twelve months spent in barrels made from oak, ash or other wood varieties. Aromatic grappas come from grape varieties distinguished by particular aromas transmitted directly to the distillate (Muscat grappas, Malvasia grappas, etc.). Flavored grappas acquire a certain aroma (rue grappa, gentian grappa, etc.) through maceration with medicinal plants. Monovarietal grappas, increasing in popularity in the past few years, are classified based on the type of marc used exclusively (i.e., separated out from other types) in their production. The law dictates that the vine variety be shown on the label if at least 85% of the raw material used to make the given grappa comes from the vitis vinifera named on the label. Indicating two vine varieties is also admissible, as long as they are listed in descending order to the extent of their contribution to the raw material used and that the least represented variety does not contribute less than 15%. Geographical denomination of grappas is provided for by law to protect and enhance the specific production characteristics of the individual areas in which they are made. Italian and EU laws designate seven areas in which grappas may use the geographic denomination as long as they are made from raw materials produced and transformed into spirits in the areas indicated, are distilled in the same place, are not mixed with grappas from other areas and that their alcohol volume is no less than 40% ABV. The Grappa Veneta/Grappa del Veneto is included in the list of geographical denominations.